So ready for your logo this pen could be called the Imprinter Pen. Bic calls it the Wide Body Pen. The largest imprint area of any brand name retractable displays your logo inline with the clip. Features include Bic brand name, quality plastic, retractable with clip, 1 mile of writing ink. 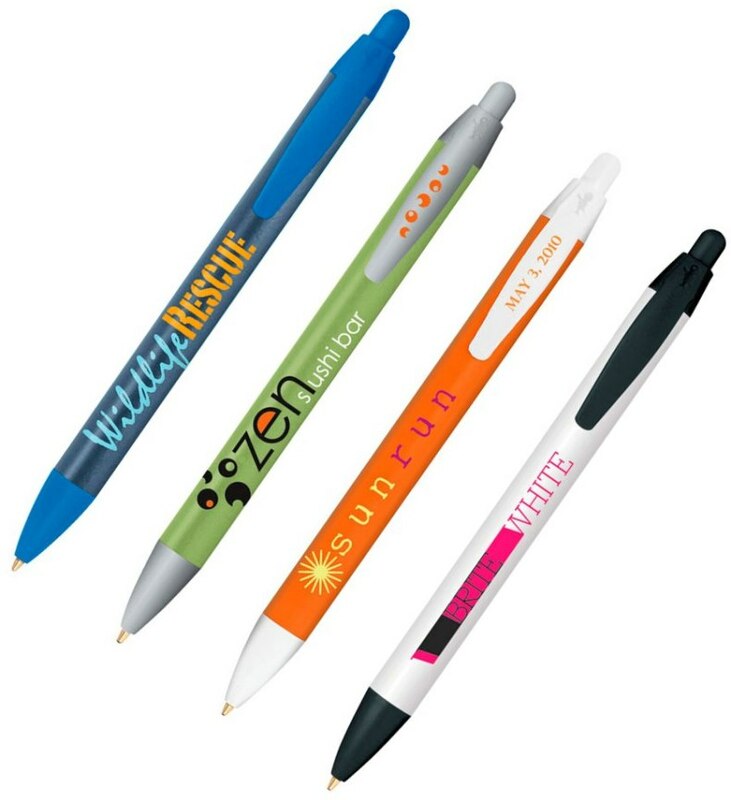 Price includes a one color imprint on the barrel area 2 1/8" w x 1" h.
add $.12 each pen. Max of three colors imprinted this pen. For clips imprint in an area 3/4" w x 5/32" h add $.15 each.